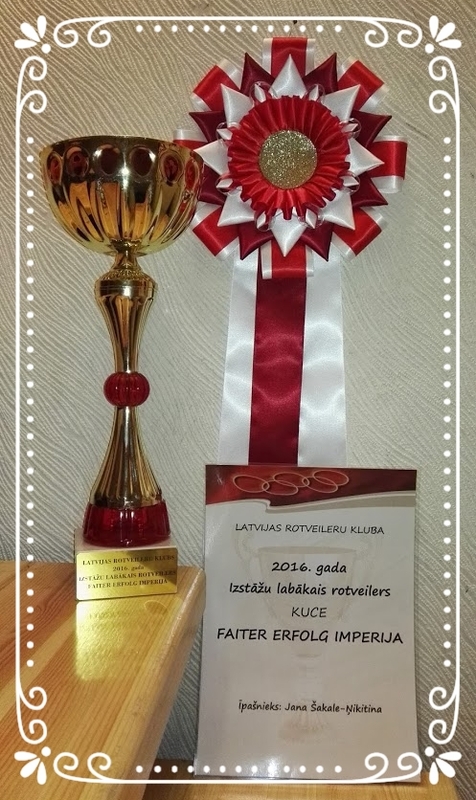 He closed Estonian Junior Champion and BALTIC JUNIOR CHAMPION !!! 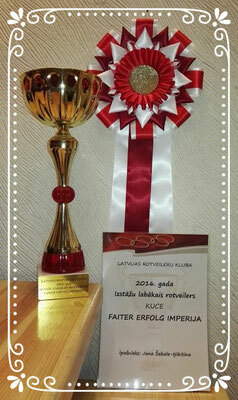 He closed LITHUANIAN JUNIOR CHAMPION and Latvian Junior Champion!!!! 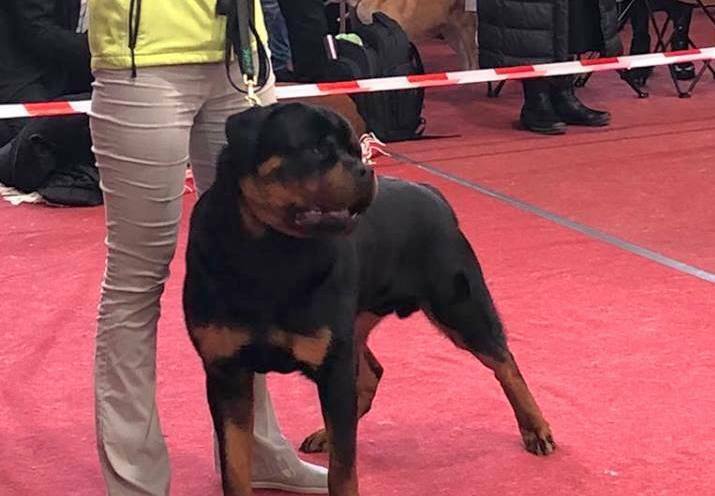 BOSS TALSEN LAND (Konan Kabri x Faiter Erfolg Imperija) - V1, JCAC. 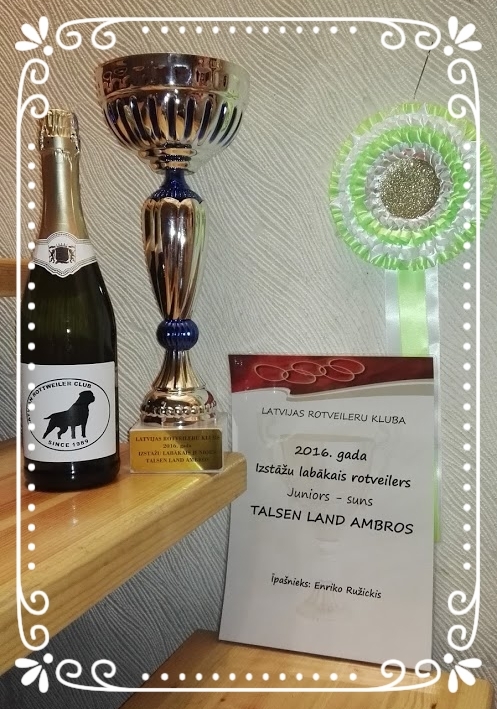 BOSS TALSEN LAND (Konan Kabri X Faiter Erfolg Imperija) - Very promissing, place 2. 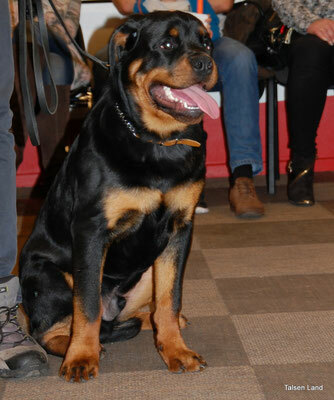 BELVA TALSEN LAND (Konan Kabri x Faiter Erfolg Imperija) - 5 months. 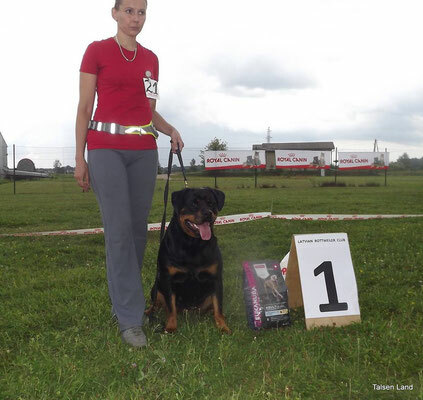 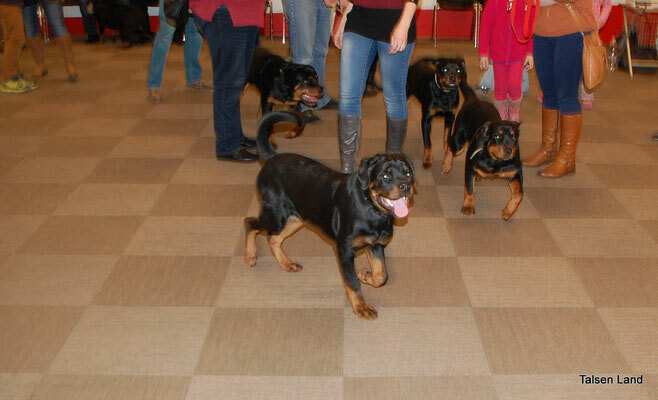 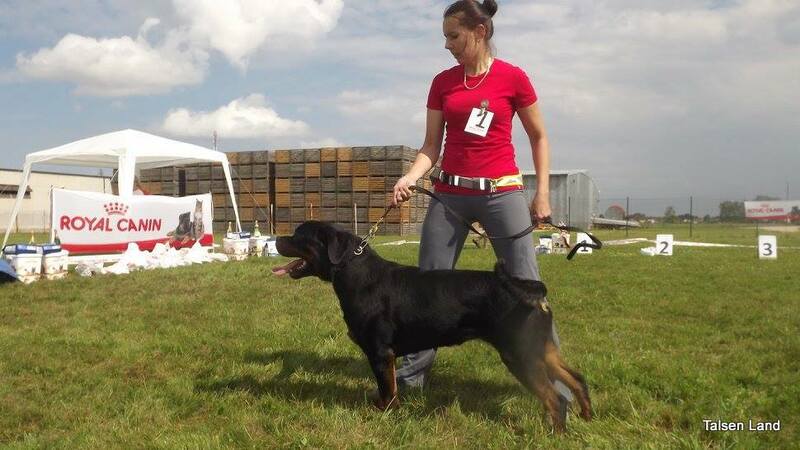 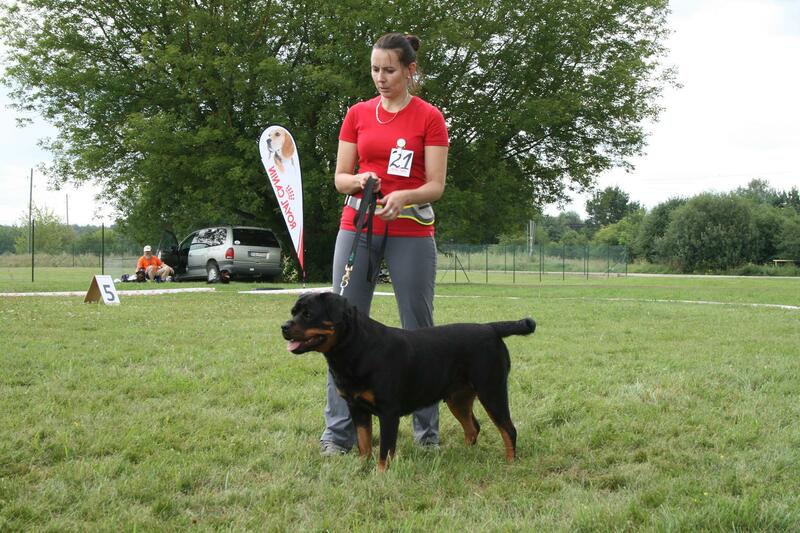 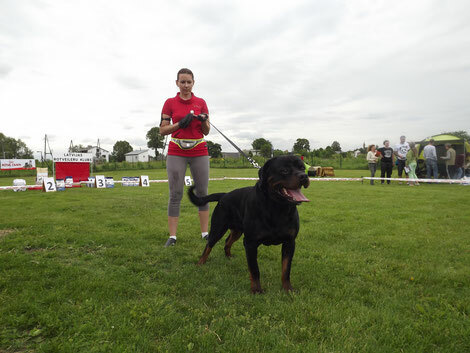 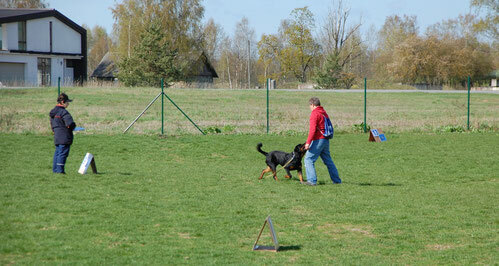 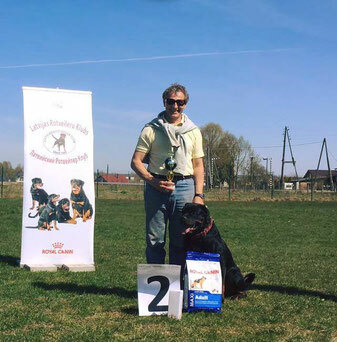 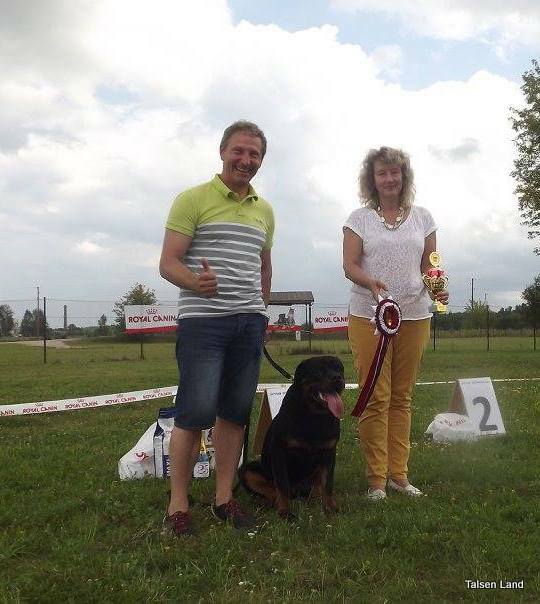 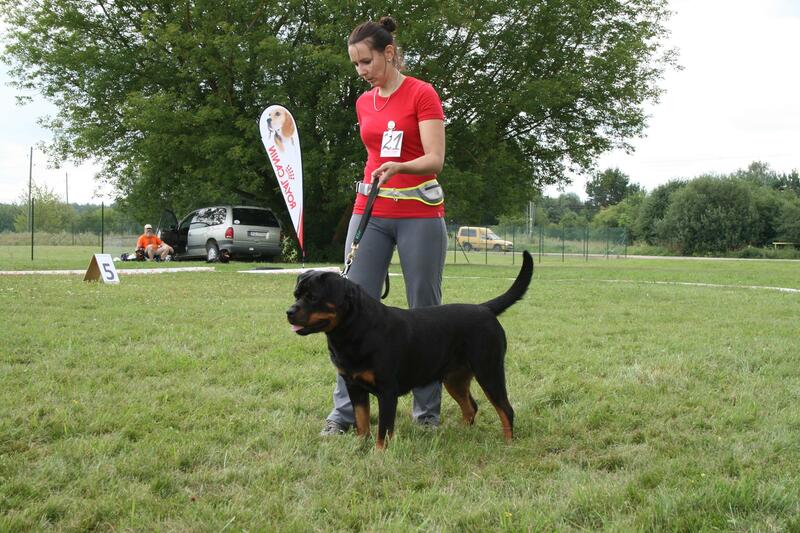 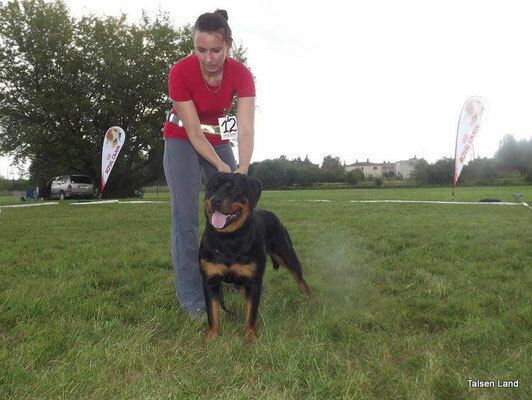 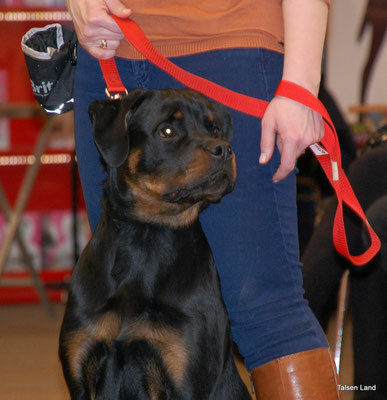 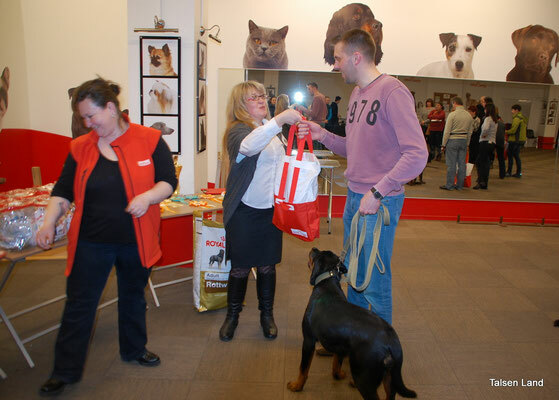 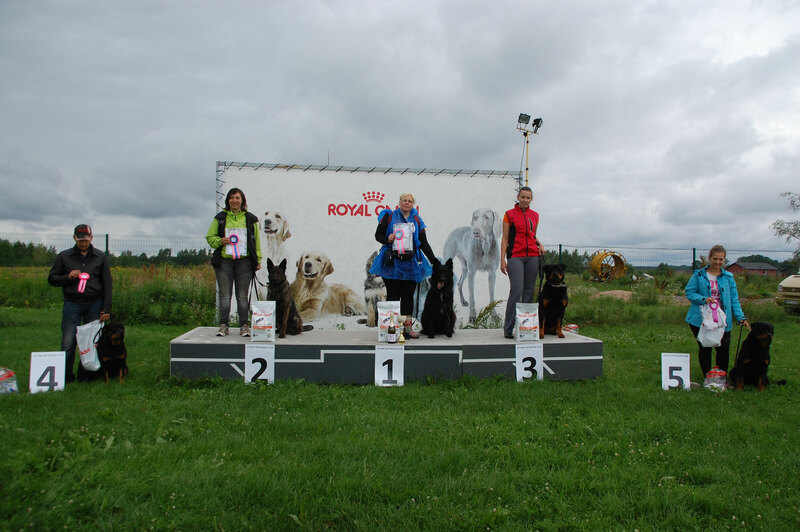 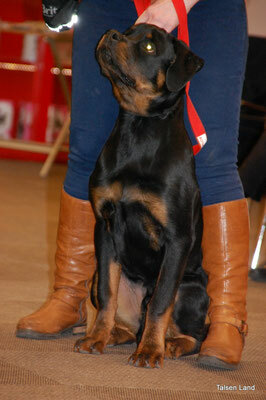 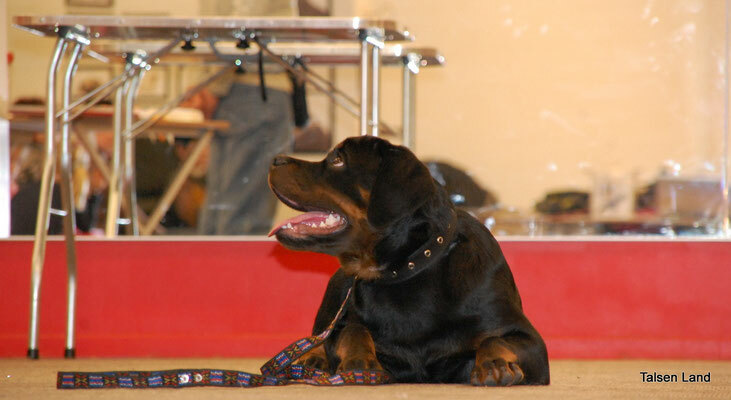 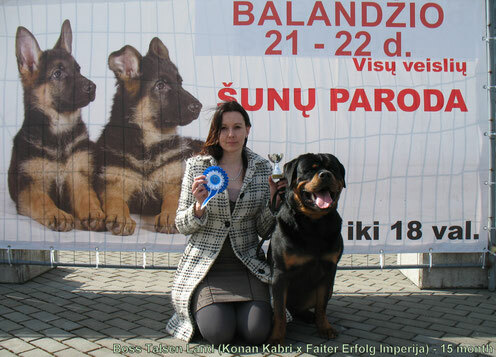 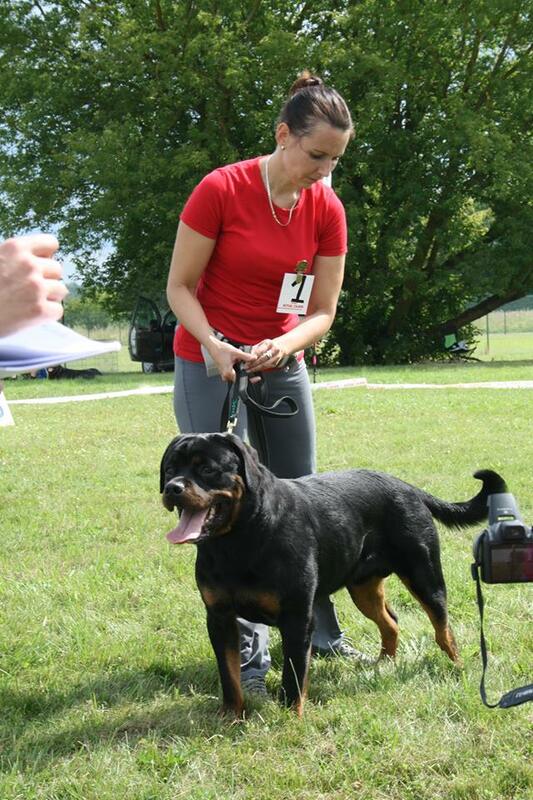 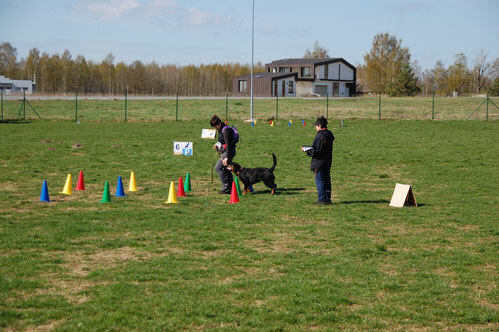 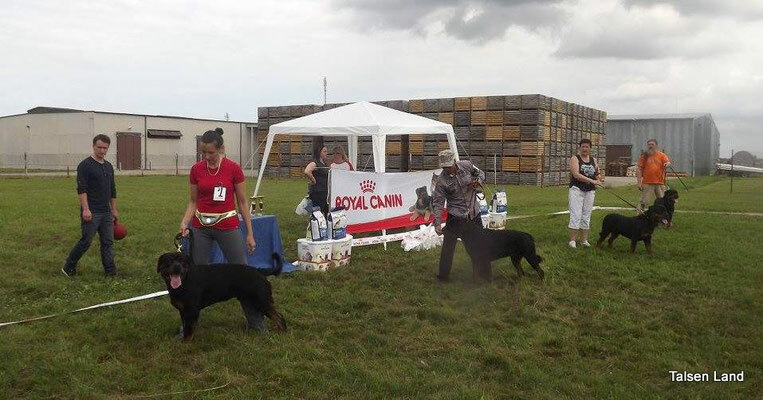 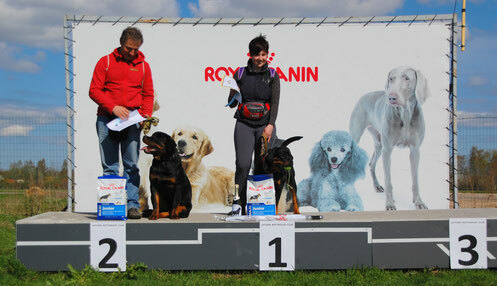 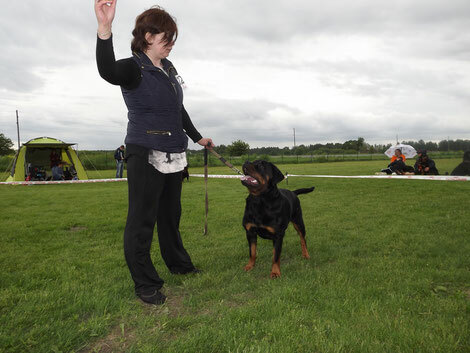 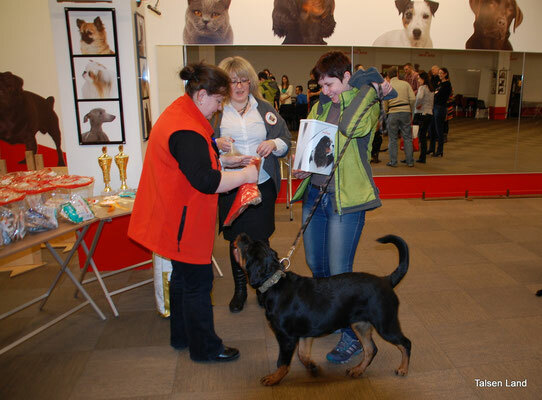 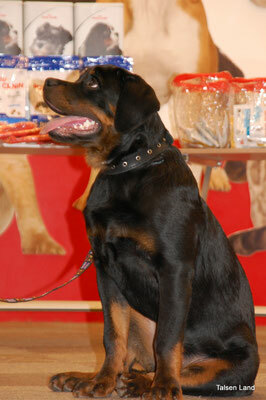 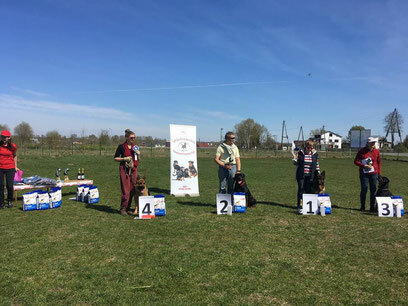 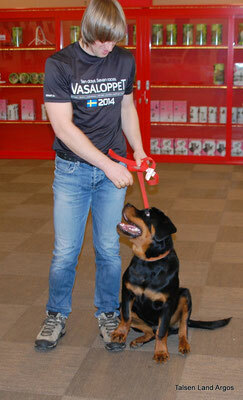 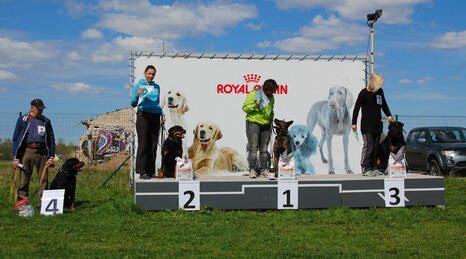 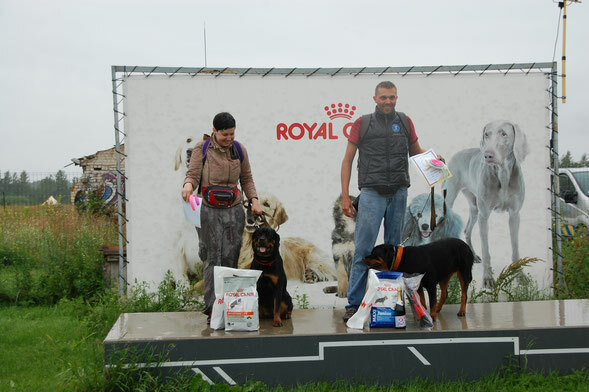 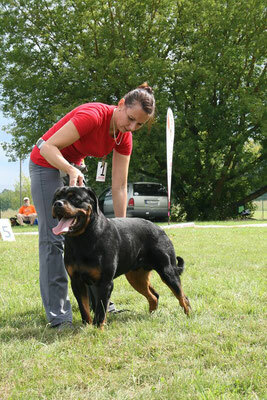 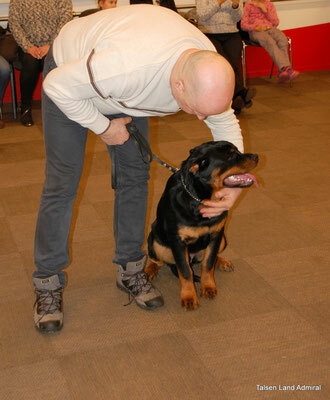 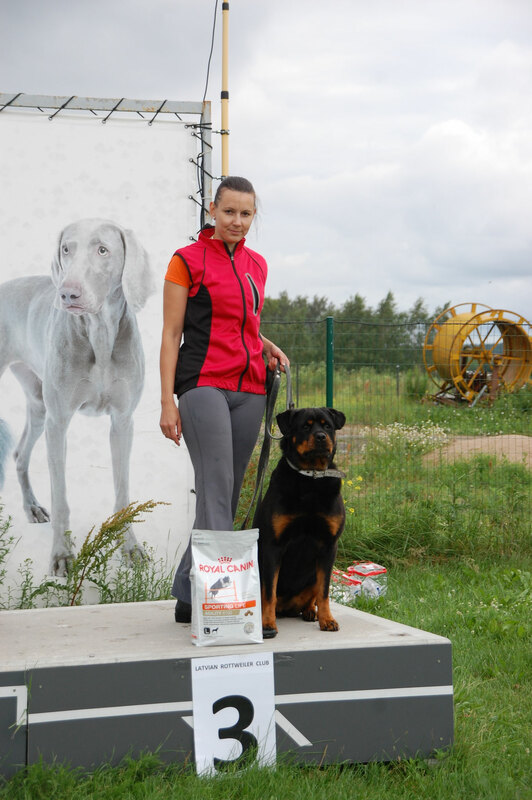 Obedience competition "On the Go"
AMBROS TALSEN LAND (Faiter Erfolg Coj x Faiter Erfolg Imperija) - C class - 1 place. 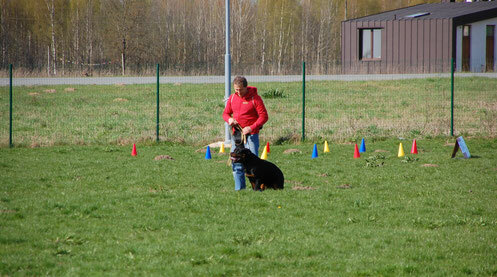 Healthy test (JLPP) in our kennel. 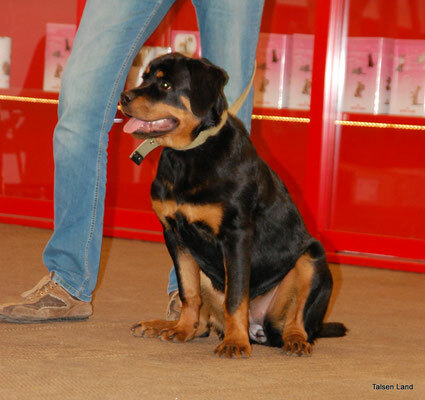 Specializied rottweiler show "CLUB WINNER 2017"
TALSEN LAND BELVA (Konan Kabri x Faiter Erfolg Imperija) - 4 months. Obedient baby (3-6 m.) - 1 place. 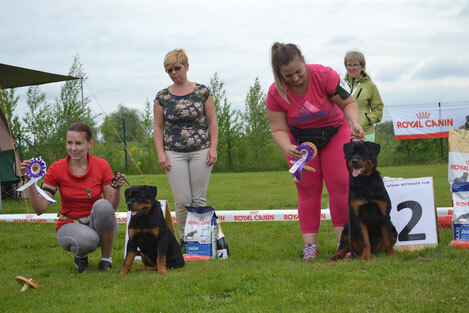 Our A litter male Talsen Land Ambros (Faiter Erfolg Coj x Faiter Erfolg Imperija) in obedience rally "Dog's Style Rally" get 2. place !!! 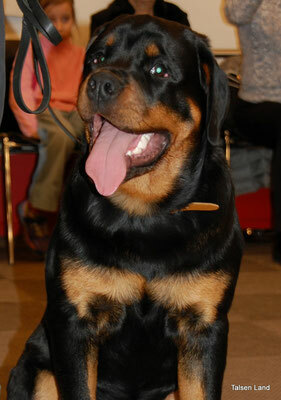 Celebrate "A" litter birthday. 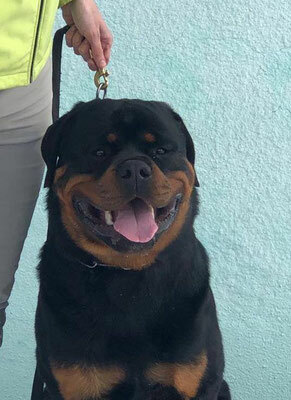 We have new our 1 year old puppy photo. 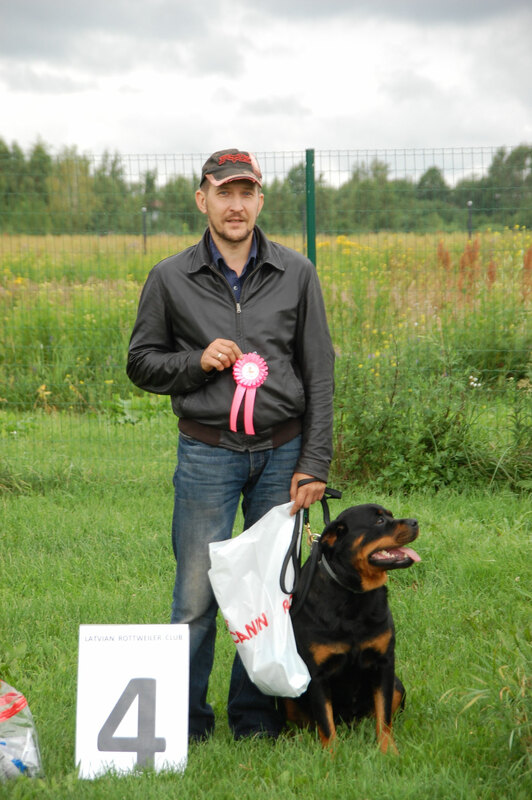 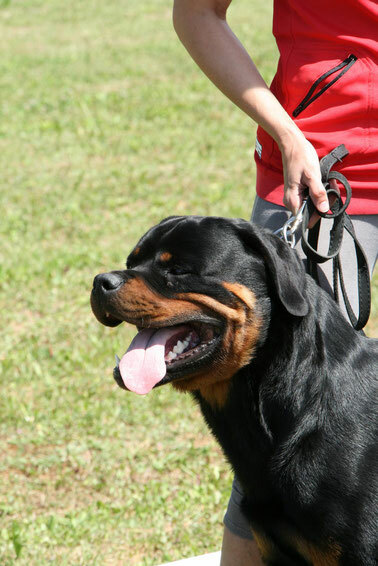 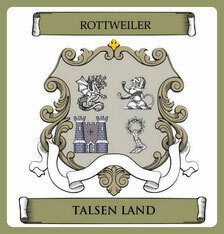 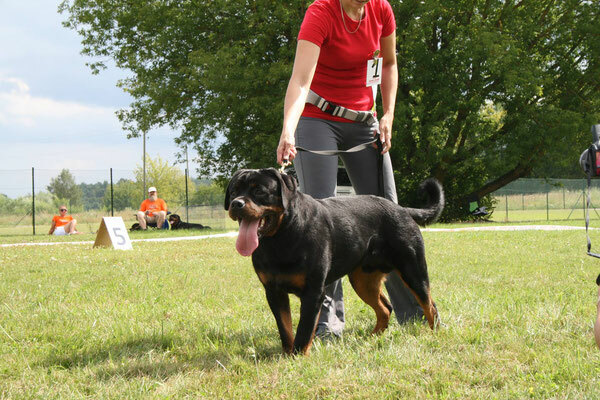 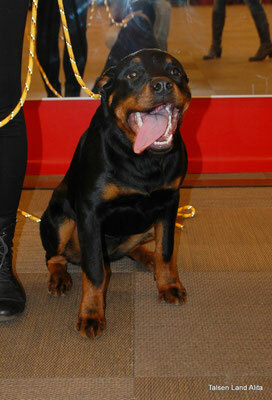 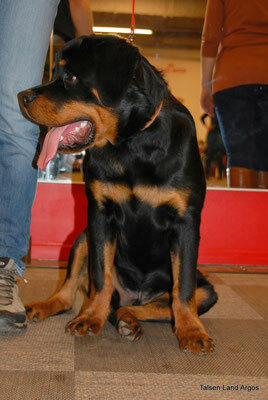 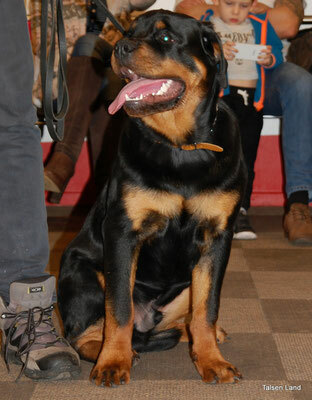 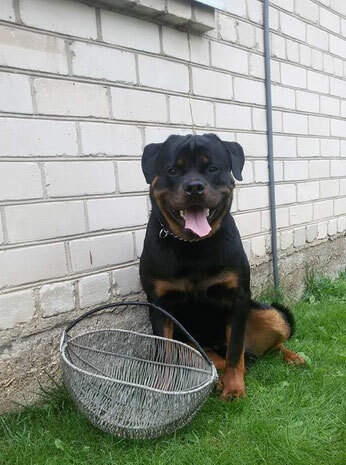 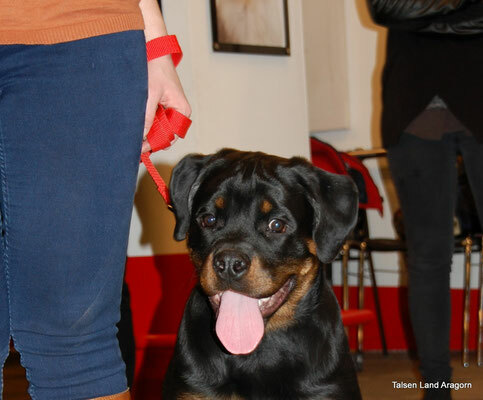 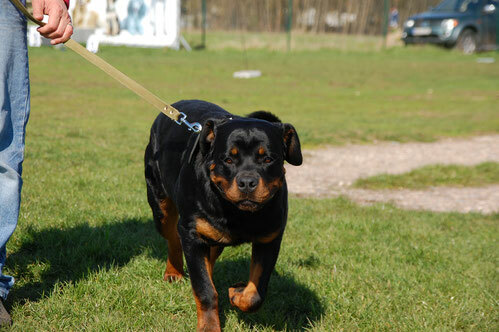 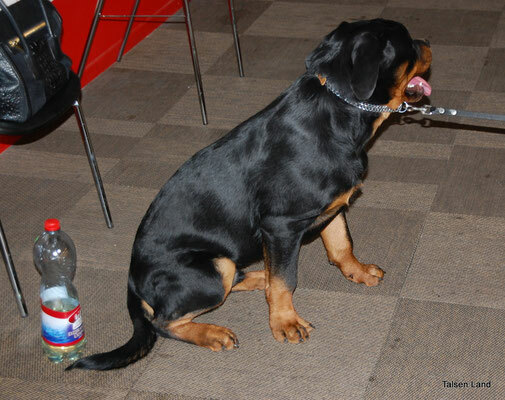 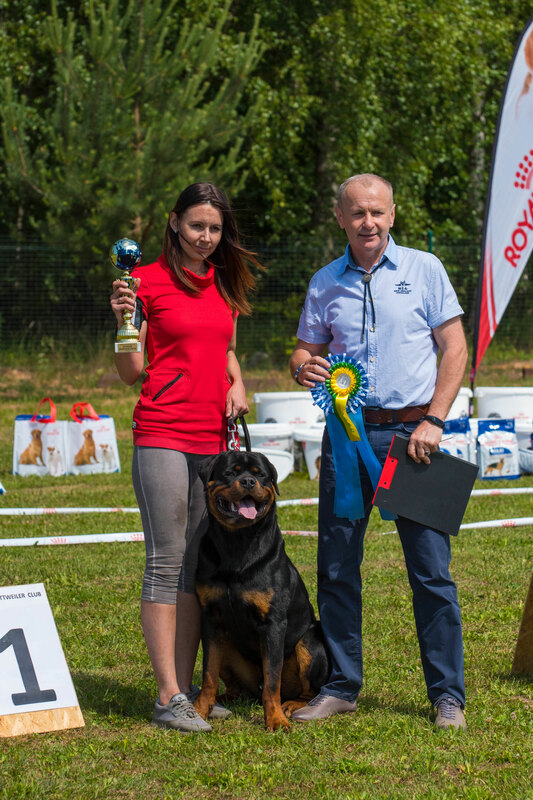 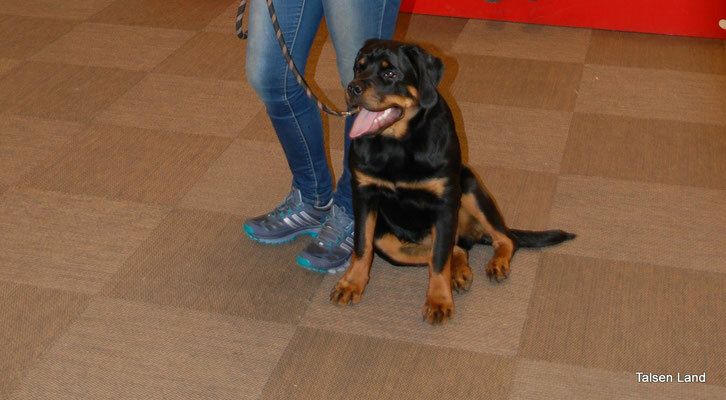 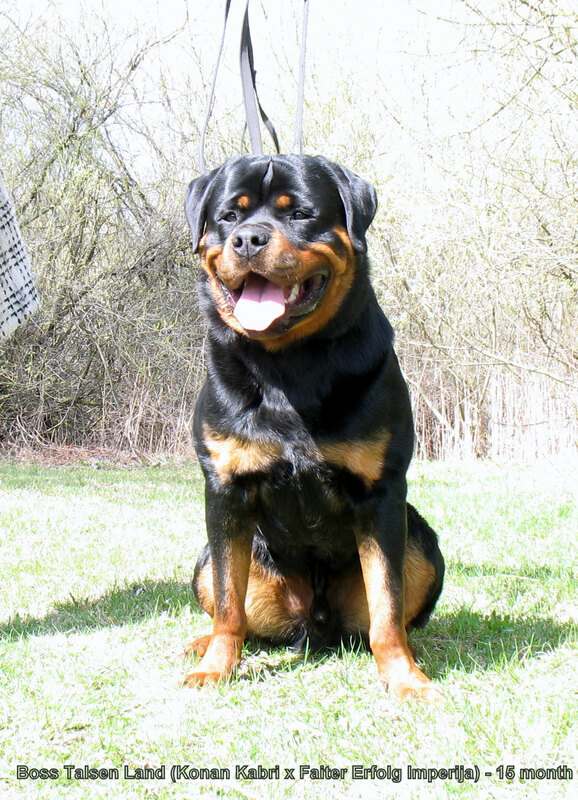 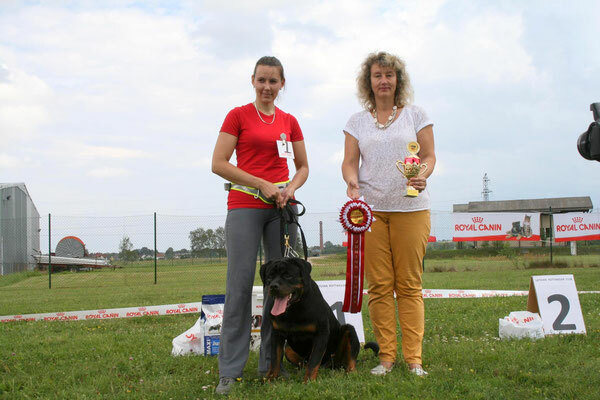 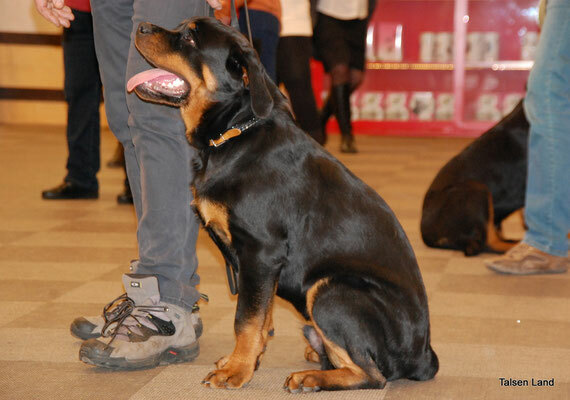 Specializied rottweiler show "Club Winner 2016"
Talsen Land Aragorn - 10 month. 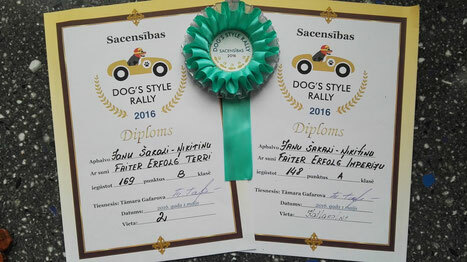 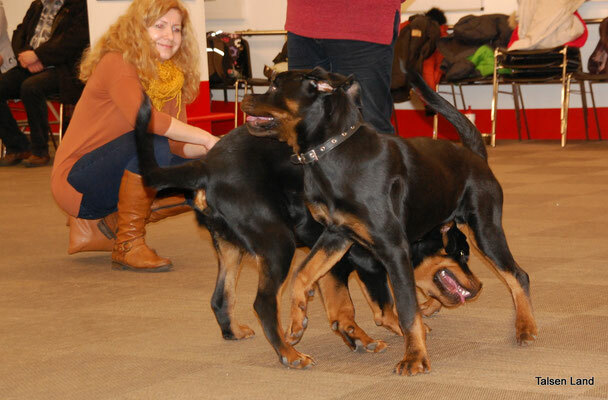 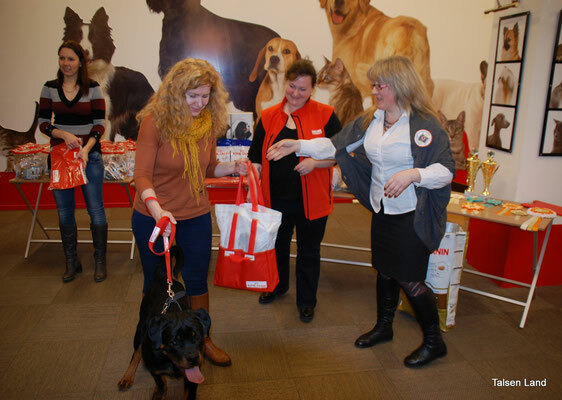 Our puppies result in obidience rally "On the go". 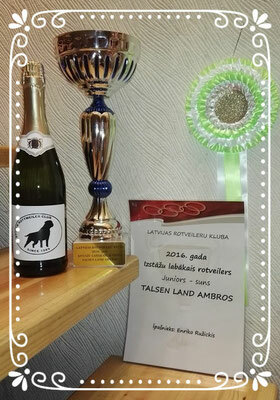 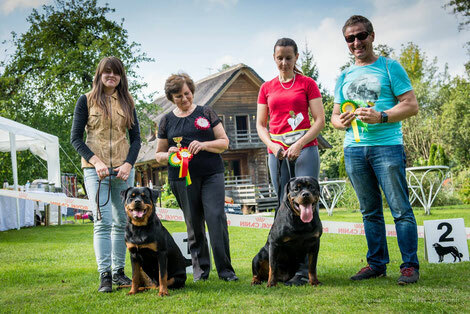 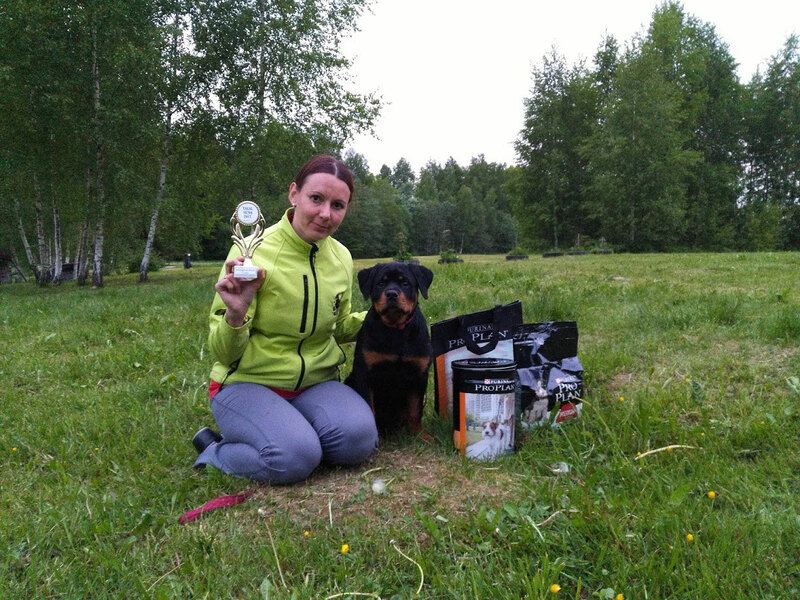 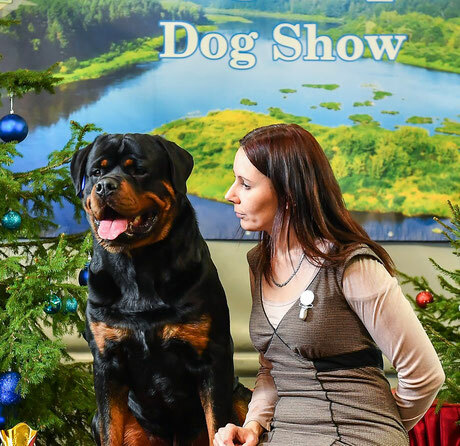 Internation Dog Show "Latvian Winner'16"
Our Faiter Erfolg Imperija without spot in A class.